Dr Estelle McFadden graduated from Dundee in 1996, before moving to Leeds to take up a position at Leeds General Infirmary as a Medical SHO and attained Membership of the Royal College of Physicians (MRCP). She gained experience in Neurology and Rehabilitation Medicine in Yorkshire and also undertook a period of research at the University of Leeds resulting in the degree of Doctor of Medicine( M.D). before deciding on a career in General Practice. Dr McFadden joined Bowling Hall Medical Practice in September 2007, and as a member of the Royal College of Physicians and the Royal College of General Practitioners has combined these skills to become a GPwSI (GP with Special Interest) in Neurology for Bradford & Airedale Primary Care Trust. Neurodigest asked Bradford GPwSI, Dr Estelle McFadden a number of questions about their primary care neurology service. How should a GP practice persuade the CCG that there is a need for practitioner with special interest in neurology service (PwSI)? It is important to point out to the commissioners that a PwSI can provide a cost effective service compared to the standard hospital tariff with shorter waiting lists, which helps to ensure patient satisfaction. It also supports the need to provide more care in the community. In terms of selecting the patients that are suitable for a PwSI service, it’s essential to have full inclusion and exclusion criteria. It is also important to develop strong links with secondary care so that this is readily accessible to patients who require secondary care input. secondary care team and the PwSI service? One of the first steps in establishing a GPwSI service and developing credibility with the secondary care team is to have a Consultant Neurologist involved in providing training. This helps the Consultant to assess the level of knowledge within the service. Developing a good working relationship with the Lead Consultant to then develop a tight patient inclusion and exclusion policy, will have a significant impact on establishing a strong partnership. For example, NICE guidelines specify that people with Parkinson’s disease (PD) should be referred quickly and untreated to a specialist with expertise in the differential diagnosis of PD. Anyone with a severe and progressive neurological condition should be referred to an appropriate specialist (e.g. Neurologist or Care of the Elderly Physician). Other inclusion and exclusion criteria can be found in the table below. How long should each session run? According to the ABN guidelines a Trainee Neurologist should allow 40 minutes per session to assess a new patient and a Consultant Neurologist generally allows 30 minutes. We believe a GP should be regarded as a trainee Neurologist and take up to 40 minutes with a new patient and 20 minutes for a follow up appointment. How much paper work do you estimate to be generated by each PwSI session? Each clinical session generates approximately 1 hour’s worth of paper work for the GP. What sort of administrative support is required and is appropriate funding for this provided? Clinics are run in different General Practice locations (in the north and the south of Bradford) and so administrative support is provided to set up and arrange the clinics. That involves managing room bookings, drafting the clinic lists, organising dictaphones so they are available at the clinic. Then there is the costs incurred from the dictation including the resulting letters. How much does it costs to send a patient to PwSI service? There will be a local tariff agreed. Neurology clinic letters can be quite time consuming, as can the results from investigations, with the need for further correspondence about these with patients. How is this factored into the PwSI contract? A General Practice session is considered to be 4 hours and we would allow for 3.5 hours of patient consultations with the additional time for administrative work. How does your service go about accessing investigations? 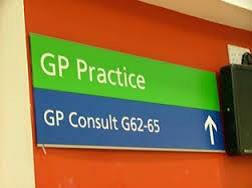 This is no different to a standard General Practice. Patients are referred on to the local hospital trust. How do you receive referrals from your General Practice colleagues? We use SystmOne for a central, electronic referral system, enabling immediate access to the referrals, no matter which practice we’re visiting. This negates the need for paper referrals. We have quick access to the referral letters, and based on our inclusion/exclusion criteria we can make a rapid decision on whether the patient is suitable for the service, or whether they need an immediate referral into secondary care. Basically, all complex neurology is referred into secondary care. This referral system is run as a joint venture between two practices and the administration costs for this are paid via the patient tariff for patients being seen. We have an extended care team which is based out of the partnering practice, run by fellow GPwSI, Dr Andrew Hansen. How would you recommend a budding GPwSI goes about establishing credibility from a generalist GP? From a very practical point, it is helpful to be very responsive and therefore having a very short waiting list is important. Should the waiting list start to creep up then it would be good to offer some extra sessions. Also, giving talks to the Vocational Training Scheme (VTS) as well as the Flexible Training Scheme will have a positive impact. It’s also good to accept invitations to give talks about various neurological conditions at other GP surgeries across the county. How do you keep up to date and fulfil your Personal Development Plan (PDP)? We have a Continuing Professional Development (CPD) meeting with the Consultant Neurologist every three months. In the meeting, a review of the key issues raised in the journals is provided; any new research is also discussed. A GPwSI will also give a presentation in order to strengthen their knowledge base; any challenging patients will be discussed with the Consultant. If there are any gaps in knowledge identified then the GPwSIs will attend appropriate training courses.